Will only be arranged on request. Minimum 4 participants. Send request to Trolltungaadventures@outlook.com for booking. Join our exclusive Trolltunga-expedition «Long March» this summer. 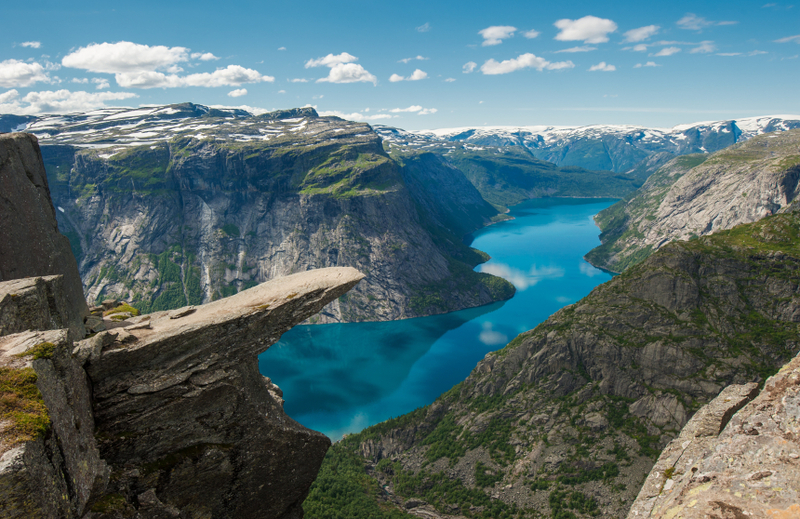 Experience the Trolltunga cliff without the masses. 24 km (15 miles) walk on day 1. It's a hard hike, but so rewarding when we reach camp; hopefully well in time to enjoy the sunset at the cliff. All inclusive, 3 meals a day, campsite at the edge of a 700 meter mountain ledge facing the majestic Ringedalsvalley and enjoy your morning coffee or tea with the scenic view of Ringedals Lake.